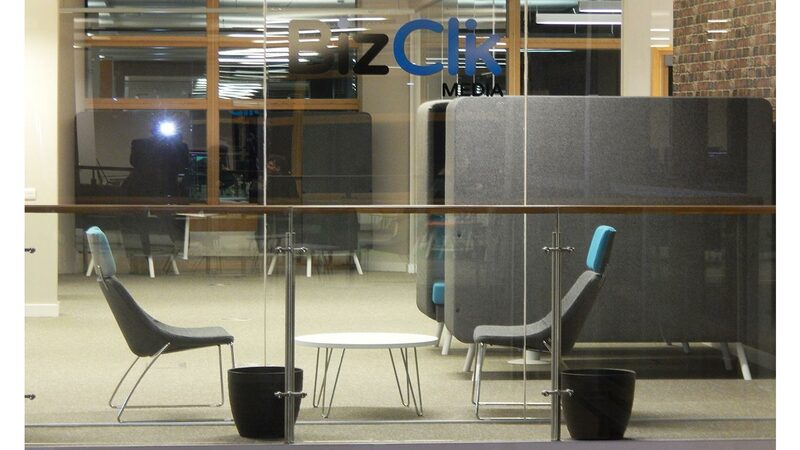 The brief from BizClik Media was to provide an exciting working environment that would encourage creative skills. Away from the desk, collaborative and breakout areas were paramount to the overall vision that the senior management wished to achieve. Working with our appointed interior designer for this project, we were able to provide a scheme that ultimately turned the vision into a reality. 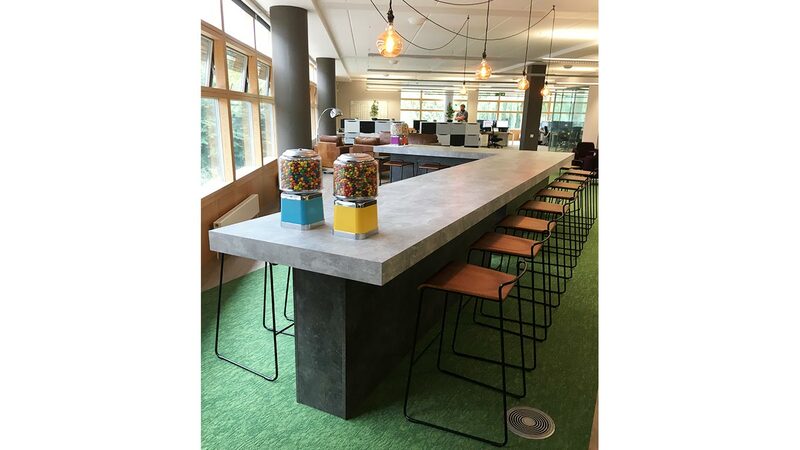 Purpose built by our own factory, the chill out bench and beverage point in concrete effect laminates combined with retro style stools, created a unique and informal area where business and leisure could mix seamlessly. 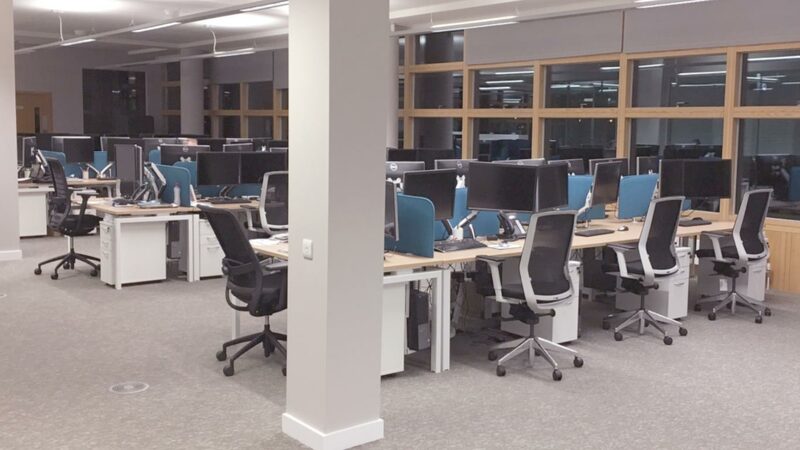 70 staff members relocated to this eco-friendly office on the banks of the Wensum river in the heart of picturesque Norwich.We thoroughly enjoyed our journey with Kiron, Glen and all the staff involved from BizClik in creating a stunning office space. 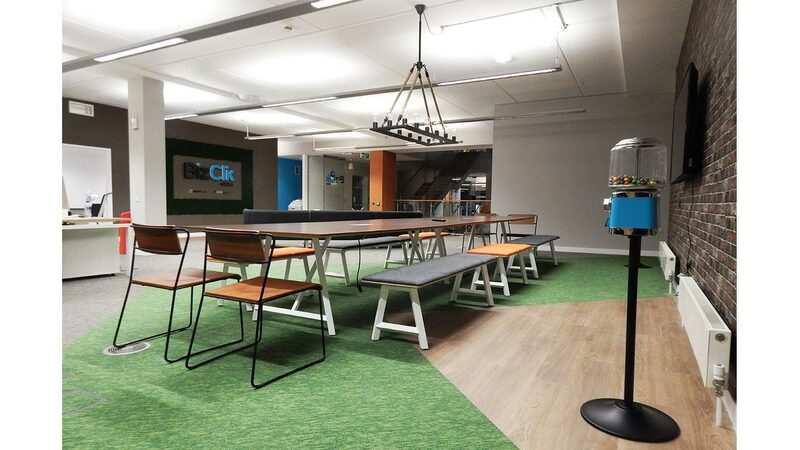 “Having reached out to several contractors, Millar West were the only company who showed they really understood our business, our culture and direction, and were therefore easily able to conceptualise this into an outstanding office design and environment. Exceptional at all levels, particularly collaboration, understanding our needs, understanding our brands and understanding budgets. 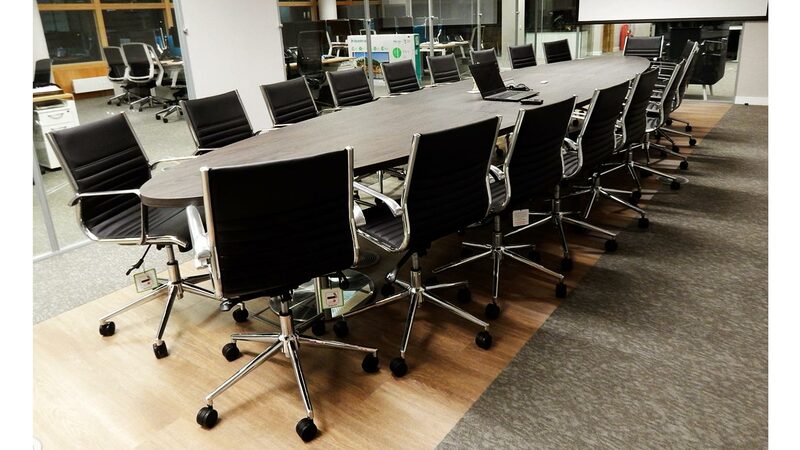 Millar West were also excellent in understanding our need for sourcing furniture from various sources, and they were also able to deliver many bespoke and personalised pieces directly in their own factory.